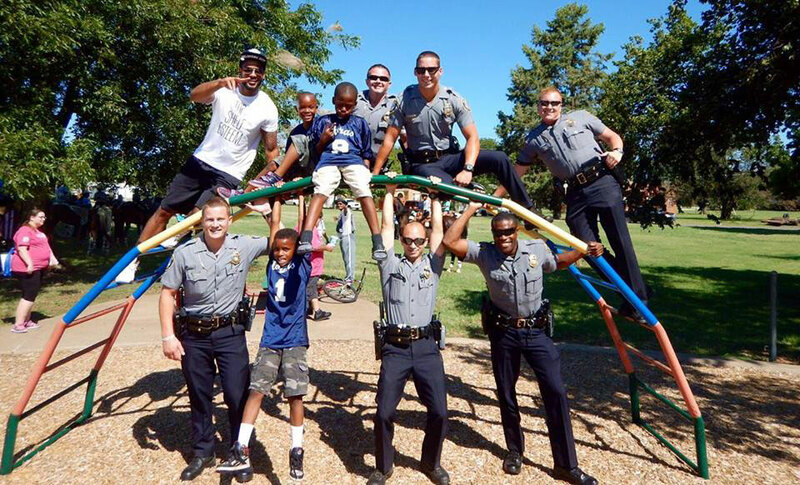 Oklahoma police departments work with communities to build bridges, establish trust and reduce crime. left to right: Sgt. Travis Serna, Capt. 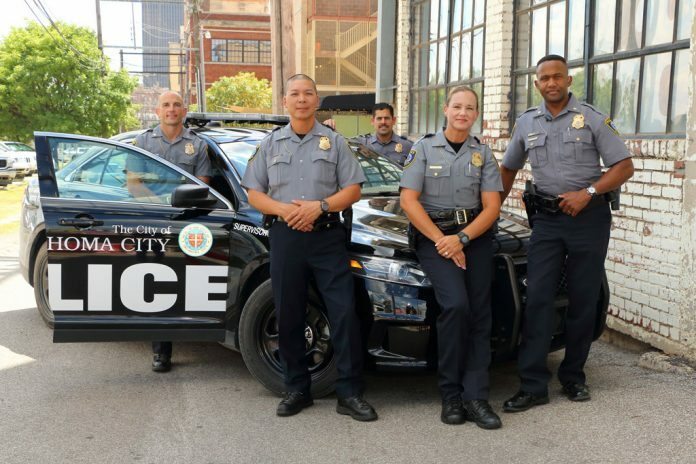 Taylor Dinh, Lt. Sinue Zepeda, Lt. Kim Vance and Maj. Dexter Nelson are among the Oklahoma City Police Department officers utilizing a community policing philosophy. We often think of law enforcement officers as just that – enforcers. 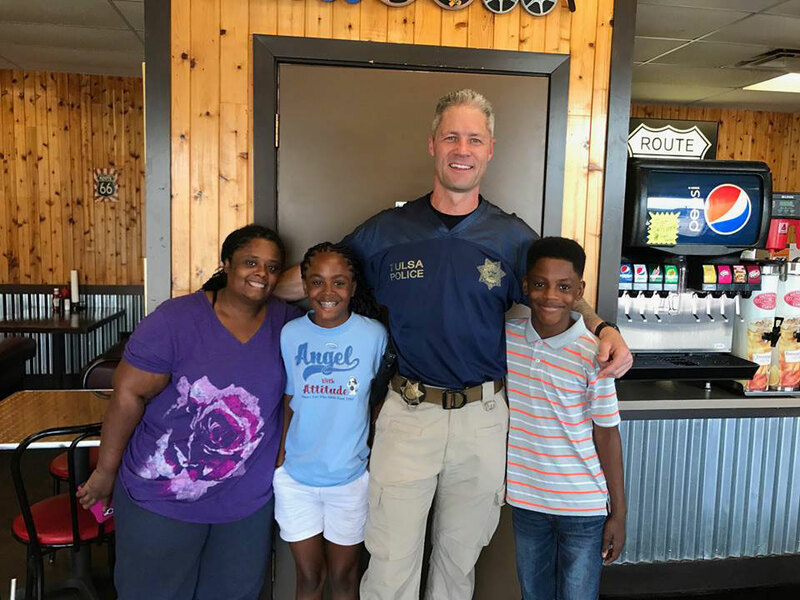 The term connotes punishment and overlooks what Tulsa Police Chief Chuck Jordan calls one of the six integral pillars of the field: community policing. Building these relationships has far-reaching effects, Balderrama says. “This includes reducing crime and increasing trust and cooperation between the community and the police,” he says. “This is particularly important in minority communities, where a lack of trust is a constant obstacle which hinders cooperation and can lead to increased tension. 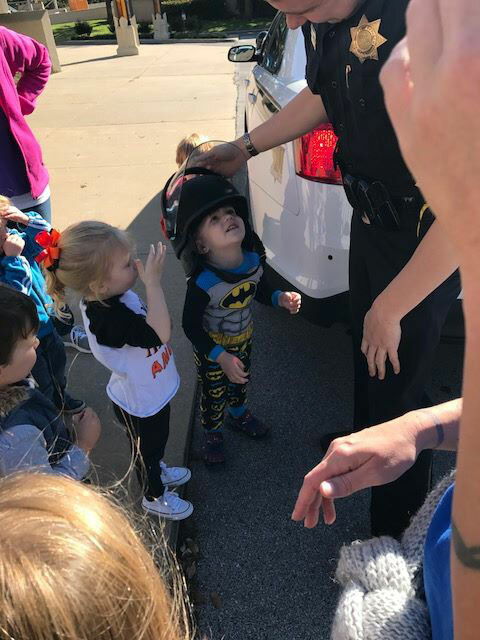 In Tulsa, a recent grant provided funds toward interventions in a high-crime housing complex, where a community outreach officer makes connections with residents and neighbors every day. Jordan says that since the officer’s placement, crime rates in the area have fallen and residents are more satisfied with law enforcement. 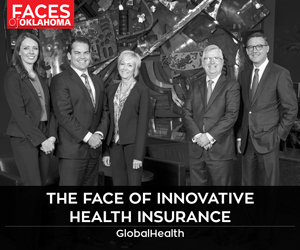 This is one of 77 initiatives in Tulsa that are either complete, underway or forthcoming. In Oklahoma City, each patrol division has a community relations officer who serves as a liaison for residents and businesses. Youth programs and a heavy social media presence also contribute to building trust and solving problems together in OKC. Balderrama says community policing involves a different mindset from usual interventions. The proactive approach of community policing is not new. Balderrama says that as far back as the mid-1800s, the London Metropolitan Police had beat officers walk the streets and interact with residents and business owners. “The community knew and had a good relationship with their neighborhood beat officers, which created trust and dialogue,” he says. “As police forces modernized with police cars and car two-way radios, the police community relationships became less personal and more distant. However, Jordan emphasizes that community policing as a concept and a goal has never disappeared entirely – indeed, that it is an integral part of everyday law enforcement. “Everything is all-inclusive,” Jordan says. “Community policing is not a separate entity; all of policing is combined with community policing. It’s part of all our strategies. “The biggest hurdle right now is getting community policing done with low staffing levels. We’re unfortunately at 1984 levels of staffing, but we have a population [with 60,000 more people] than then. We have Homeland Security tasks and more gangs. Calls for services are quadruple [what they were]. Jordan says community policing is a labor of love for officers. Balderrama says one way OKC residents can help is to apply for a job with the department; Oklahoma City is hiring about 100 police officers.